Nicaragua agreed to a firm contract with a Chinese company to build an alternative waterway on par with the Panama Canal, The Guardian reported. The project is expected to strengthen China's influence on global trade and lessen U.S. dominance of the key shipping route between the Atlantic and Pacific oceans. The new canal will have significant implications for strategic sourcing, commerce and the military. 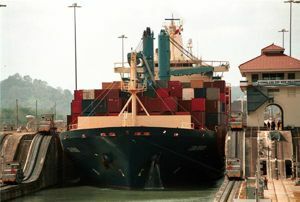 The Panama Canal is currently undergoing an expansion at the cost of $5.2 billion. The waterway in Nicaragua is expected to be wider and deeper with more than twice the capacity of the Panama Canal after its expansion. The vessels that will be able to travel through Nicaragua could have a capacity of up to 250,000 tons. The new waterway would have a higher volume of goods shipped, which would reduce transportation costs and enable more global trade, according to Popular Science. The new canal could have significant geopolitical implications. The waterway could facilitate U.S. military shipping of aircraft carriers, which would create more flexibility, but China would have a say in passage, Popular Science said. However, it could also complicate maritime power because the U.S. previously held a strong position with control of the fastest route between Asia and North America. The $40 billion project is expected to begin next year, and in the original plan, is predicted to be completed within 10 years, The Guardian stated. In addition to weakening the U.S. trade position, the project is leading to tensions in South America. Nicaraguan officials have accused Colombia and Costa Rica of inhibiting the project from moving forward. Costa Rica has a claim on some of the territory that will likely be used for the canal. Colombian officials recently called a Chinese judge out for ruling in favor of Nicaragua in the land dispute so the project could move ahead.